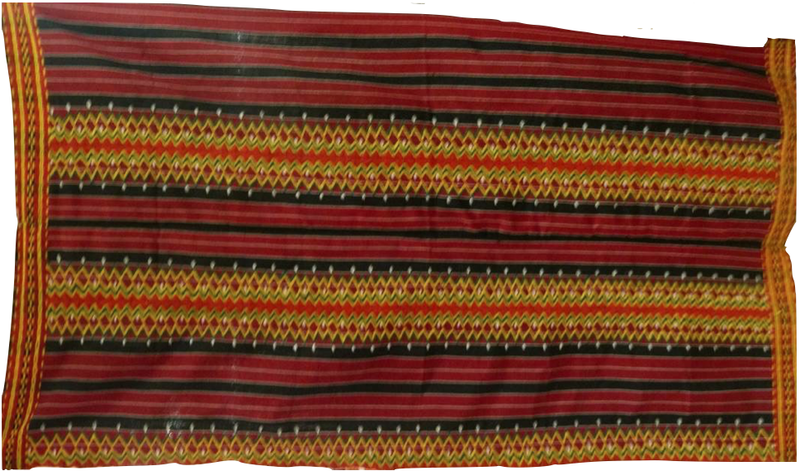 This skirt is usually worn by wealthy women at festive occasions. It is made up of three panels joined together by embroidered frieze patterns. The skirt is also framed with embroidery at the ends. 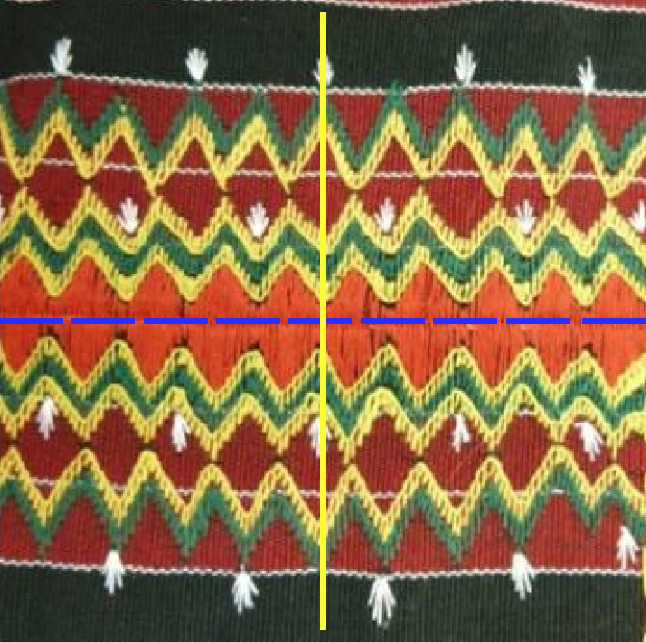 A frieze pattern has symmetry group mg.
An axis of vertical reflection and axis of glide reflection (dashed lines) are shown.